STA is a full-service firm offering architecture, interior design, planning and urban design expertise. Team STA includes 15 design professionals. 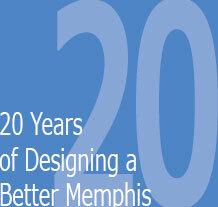 We are particularly passionate about downtown redevelopment and neighborhood revitalization. We strongly believe that the quality of life within a City is enriched by each well designed building and exceptional public space. In addition to our creative strengths, we understand budgets, schedules, facility maintenance, energy consumption and all the practical issues related to building design. We have four LEED Accredited Professionals (LEED APs) on staff. Creating buildings which consume less energy and have healthier interior environments is central to our firm’s mission. "We believe each building we design should enhance the quality of life of its occupants and enrich the architectural fabric of our community. "